New advice on which antibiotics to use for common infections and which to preserve for the most serious circumstances is among the additions to the WHO Model list of essential medicines for 2017. Other additions include medicines for HIV, hepatitis C, tuberculosis and leukaemia. 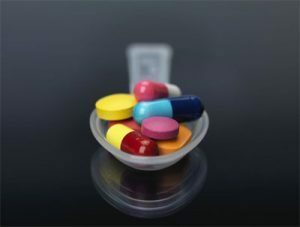 The updated list adds 30 medicines for adults and 25 for children, and specifies new uses for 9 already-listed products, bringing the total to 433 drugs deemed essential for addressing the most important public health needs. The WHO Essential Medicines List (EML) is used by many countries to increase access to medicines and guide decisions about which products they ensure are available for their populations. In the biggest revision of the antibiotics section in the EML’s 40-year history, WHO experts have grouped antibiotics into three categories – ACCESS, WATCH and RESERVE – with recommendations on when each category should be used. Initially, the new categories apply only to antibiotics used to treat 21 of the most common general infections. If shown to be useful, it could be broadened in future versions of the EML to apply to drugs to treat other infections. The change aims to ensure that antibiotics are available when needed, and that the right antibiotics are prescribed for the right infections. It should enhance treatment outcomes, reduce the development of drug-resistant bacteria, and preserve the effectiveness of “last resort” antibiotics that are needed when all others fail. These changes support WHO’s Global action plan on antimicrobial resistance, which aims to fight the development of drug resistance by ensuring the best use of antibiotics. WHO experts have added 10 antibiotics to the list for adults, and 12 for children. fentanyl skin patches and methadone for pain relief in cancer patients with the aim of increasing access to medicines for end-of-life care.